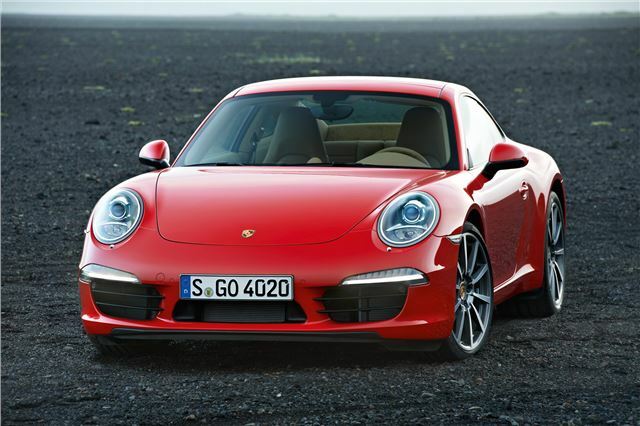 The latest incarnation of the iconic Porsche 911 will make its debut at the Frankfurt Motor Show. It’ll cost from £71,449 when it goes on sale in December. Styling is, as you’d expect of a 911, traditional. The shape hasn’t changed dramatically since the 911s introduction in 1963, and that's how most die-hard fans like it. There’re a few fairly obvious changes from the previous generation 911, though – the roofline is lower and the tail lights are smaller. The engine remains, as always, a flat-six – the Carrera model gets a 3.4-litre 350bhp unit while the Carrera S gets a 3.8-litre engine producing 400bhp. The lower powered engine, when fitted with a PDK gearbox, gets the 911 from 0-62mph in 4.6 seconds, and that’s cut to 4.4 seconds when the optional Sport Chrono Pack is specified. The 3.8-litre Carrera S is slightly quicker to 62mph, taking 4.3 seconds, or 4.1 seconds in Sport Plus trim. The new engines are more efficient than the outgoing ones. When fitted with the optional PDK paddle-shift gearbox the 350bhp 3.4-litre engine manages a combined cycle economy figure of 34.4mpg, an improvement of 6mpg over its predecessor. That equates to CO2 emissions of 194g/km, making it the first sub 200g/km sports car from Porsche. The larger engine isn’t too bad either, with fuel economy of 31.4mpg and 205g/km of CO2 when fitted with the PDK gearbox. To enhance handling and dynamics over the outgoing model there’s a wider front track, a new rear axle and a new electro-mechanical power steering system. Carrera S models get Porsche Dynamic Chassis Control (PDCC), which reduces body roll through bends, meaning the tyres are always in the optimal position to keep the car gripped to the road. Inside the cabin there are traditional 911 features, like the instrument cluster with five dials, coupled with modern technology, which includes a high resolution multi-function display. Standard equipment on all models includes leather upholstery, automatic climate control, 7-inch touch screen infotainment system with sat-nav, MP3 connectivity and Porsche Stability Management. The Carrera S has larger 20-inch wheels, Porsche Active Suspension Management, Porsche Torque Vectoring, a limited slip differential and, of course, the larger 3.8-litre engine. The 911 Carrera will be priced from £71,449 and the Carrera S from £81,242 when they go on sale in December this year. Stay tuned to our Frankfurt coverage for more information on the new 911 as it happens in September.